Anyone who makes the journey from Flagstaff down Oak Creek Canyon, perhaps when the autumn colors are at their peak, and stops beside the river to look at Sedona below and the towering red rocks above knows that here is a place that waves the memories of lifetimes. 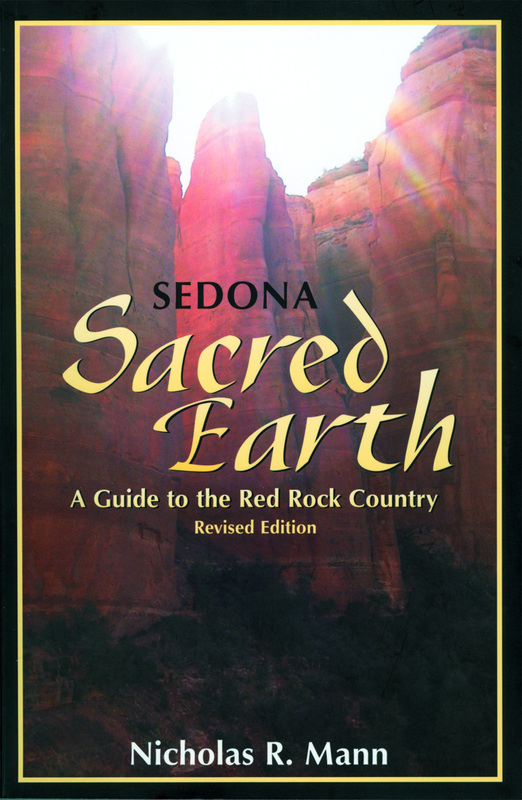 This book is an attempt to describe the power of Sedona. I bring in native traditions, geology, geometry, and physics to try and explain what makes Sedona so special, what makes it so memorable. Even though you may be an anthropologist, a geologist, a mathematician, or a physicist, you don’t have to be one to grasp what is in this book! Simply being on the land, being in its energy, being open to the wonder and beauty of this amazing landscape is all that is needed to understand what I’m talking about. The ancient peoples known as the Hohokam and the Sinagua; the contemporary tribal peoples, the Yavapai, and the Tonto Apache; the Spanish, the first white pioneers, and then the latter-day settlers were all greatly impressed by the Sedona landscape -- and all of them, in turn, left their impression on it. Each group in its own way made a contribution to Sedona’s extraordinary story and, as a result, the Sedona landscape is deeply imprinted by legend. For the native peoples—the Yavapai and the Apache, for example—Sedona was a sacred place. It was the place of emergence, a place of regeneration, of medicine, and of connection with the spirit world. I explore these traditions in the first part of the book, since it is these traditions that underlie and contribute to the experience of spirit and sanctity felt in Sedona today. From this basis, I go on to explore the Sedona Landscape Temple. I describe the remarkable animal and geometric figures in the Sedona landscape and conclude with a description of the chakra system that contains important information about the changes and new energies that are opening up today. The Sedona Landscape Temple is an agent of planetary, human, national, and spiritual transformation that contains a vital message for us.